How do you create a branded company gift that checks off all the right boxes? One that’s personal, unique, and valuable? And, most importantly, how do you create an item that your team loves giving out? Logo gift sets accomplish all of that and more! What is a logo gift set? Logo gift sets are all about creative presentation. The possibilities are limitless! 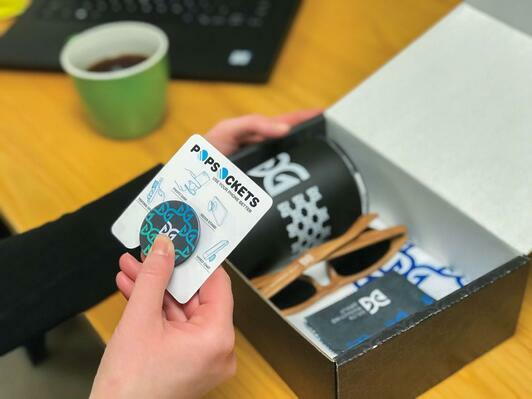 The goal is to curate several high quality promotional items that represent your brand or event, then package them in a way that adds value and brings the whole set together in a cohesive way. They’re not hard to create, but they demonstrate an extra level of thoughtfulness and creativity. The best part about this strategy is that it can be crafted to align with your company’s individual goals and budget; there are no right or wrong ways! Logo gift sets don’t have to break the bank. They can be cost-effective while still creating a sense of value. Thank You Gifts: Instead of sending generic chocolates or goodie baskets, add a personal touch by sending your company’s own logo gift box. Client Delight: Want to acknowledge your best clients? A logo gift set is a thoughtful way to delight the people who give you their business. Lead Nurturing: Send your gift box to prospective customers to give them a positive introduction to your company. Event Giveaways: Create an event takeaway that attendees will love. Gift boxes are ideal for conferences, workshops, and company meetings. Employee Gifts: Whether you’re celebrating a holiday or a company milestone, logo gift sets are a perfect way to thank employees for all their hard work. 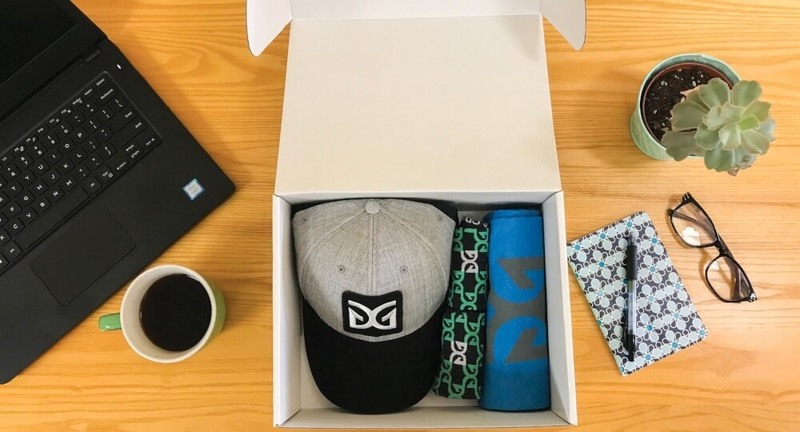 New Employee Welcome Kits: Make new employees feel instantly welcome by providing a branded box filled with your company’s best promotional items. When shopping for promotional gift sets, you may notice that you can purchase sets that have already been assembled. The individual items have already been curated, and the packaging is a predesigned box that allows you to add your logo and other branding. These predefined kits are great options for many organizations who want to simplify the process. If you want to put your own stamp of creativity on your logo gift set, building your own is a fantastic option. Going the DIY route is also often more cost-effective than ordering a pre-assembled kit, because it allows you to choose items and packaging based on your budget and goals. Ready to start planning your logo gift set? Budget should always be your first decision when ordering any kind of promotional items. Your budget will depend largely on your goals for the kits. Who is the intended audience, and how are you planning to use the kits? Determine how much you are willing and able to spend per kit to receive a positive ROI. When calculating your budget, don’t forget to factor in other potential costs such as packaging, shipping, and employees’ time to assemble the kits. For a fun twist, package items in a lunchbox! Here is where you can let your imagination free! Selecting the items for your logo gift set is a fun process. Choose items that represent your brand, message, or event. 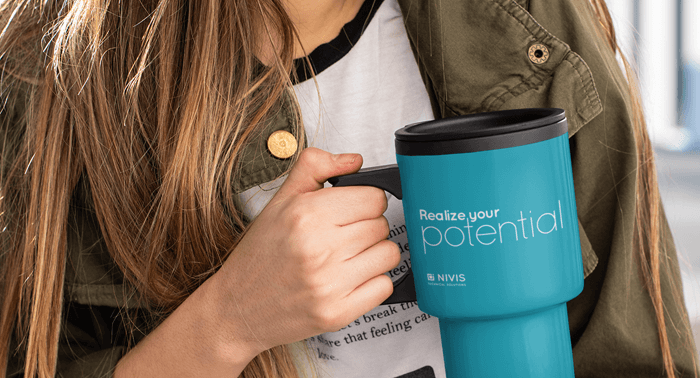 You can even select promotional product combinations that go together, like a blanket and coffee mug, a journal and pen set, or a cap and t-shirt. You also need to decide whether you want your gift set to include multiple lower-cost items, or a couple of high-end items that may be more costly. 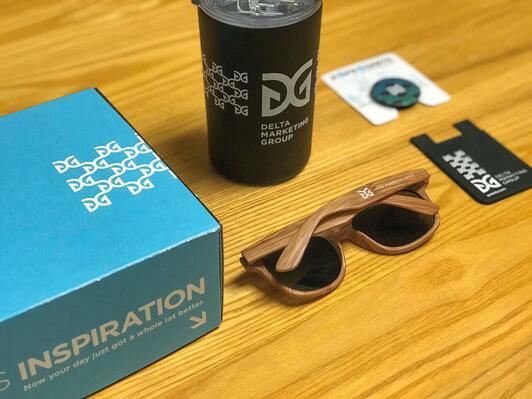 Remember, it’s not the cost of the items that makes logo gift sets valuable; it’s the creativity and strategy you put into assembling your kit. If your chosen products are well-designed, useful, and go together nicely, you’ll have a great gift no matter the cost. Lastly, it’s important to figure out how the logistics of your gift set will come together. One advantage of the gift sets that are sold as a predefined package is that they arrive to you already assembled and ready to go. If you’re building your own, you’ll need to factor in the time to assemble your packaging, pack your kits, etc. Before you decide on this route, be sure someone in your organization has the bandwidth to own this part of the process. Logo gift sets are a fun, creative way to let your brand shine and delight your recipients. Your company’s gift set can be simple or elaborate, high-end or cost-effective. The possibilities are limitless!